This Fire Orange regular came back for some more! 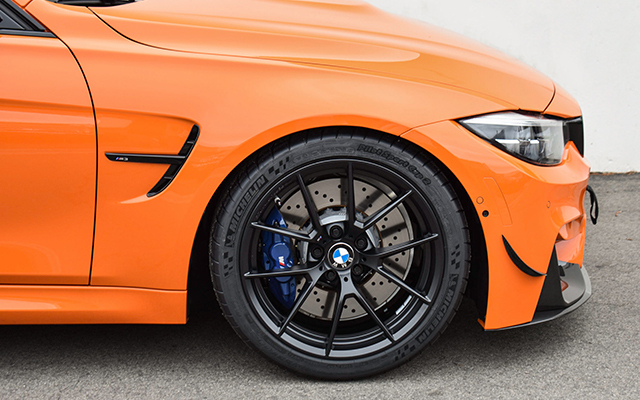 Keeping in line with the OEM M Performance theme, the owner opted for additional factory upgrades--namely the M Performance exhaust system and the 763M wheels. These were certainly good choices as they made this orange beast look and sound even more mean. The black finish of the 763Ms goes well with the various carbon trim front to back and top to bottom on this car. The M Performance exhaust not only sounds great but also offers great weight savings, as the stock ZCP exhaust is still relatively heavy! All in all, this car is shaping up to be one of the best builds we've worked on. We can't wait to see what else is in store! The i3 was always quick and nimble for what it was--a compact EV primarily designed for urban travel (with a range-extender option for folks who need to drive some more). 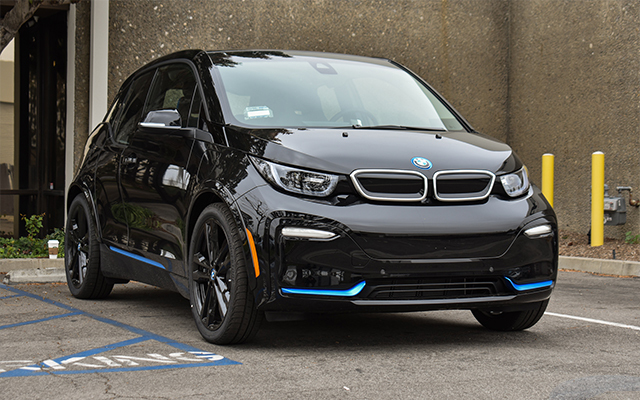 The i3s is the newest iteration of the eco-pocket rocket. Power has been bumped up to 184 HP and 199 ft-lbs (compared to the 170 HP/184 ft-lbs of the standard model). Top speed has been increased from 93 mph to 99 mph. 0-60 times have also dropped from 7.3 seconds to a 6.9. It's certainly no M2 or M3 in regards to speed or power it's still a decent amount of car for the average driver. While the i3s may seem underwhelming for most performance junkies, it does offer a look into the future of alternative-fuel performance cars. Seats really do make the car. A high quality reclining seat from a company such as Recaro is oftentimes a major upgrade from your average factory seat with squishy bolsters and a lack of back support. A great example of said seat is Recaro's Sportster CS. The Sportster CS is inspired by motorsport seat design with an integral headrest that features harness pass-throughs and aggressive bolstering. The design is good blend of luxury and sport and would look right in almost all performance cars. Recaro seats not only hug you firmly during high performance driving but they can also keep you nice and comfortable during road trips. Recaro seats are designed to align the spinal cord in its most natural position. The driver's back muscles will actually become more relaxed the longer they sit in the seat. When a driver modifies their suspension for the first time, more likely than not, they will opt for simple lowering springs. That's a perfectly sensible solution for the average driver. The more enthused drivers opt for complete coilover systems. Such systems offer way more points of adjustability and more potential than just springs but are also considerably more expensive. KW's HAS Sleeve-Over kit is a great compromise between the two extremes as it allows you to height-adjust each corner individually. 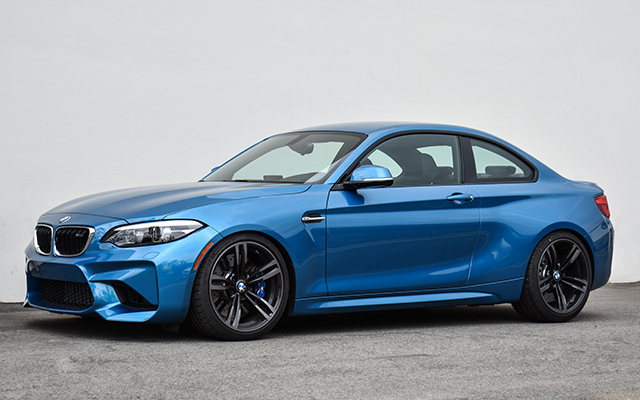 This M2 was on just lowering springs before but came by to upgrade to the HAS kit. Titan 7 wheels are now available for F8x M3 and M4! For the uninitiated, Titan 7 wheels are a quality, lightweight, and durable wheel. They are fully-forged, with 10,000 lbs presure! 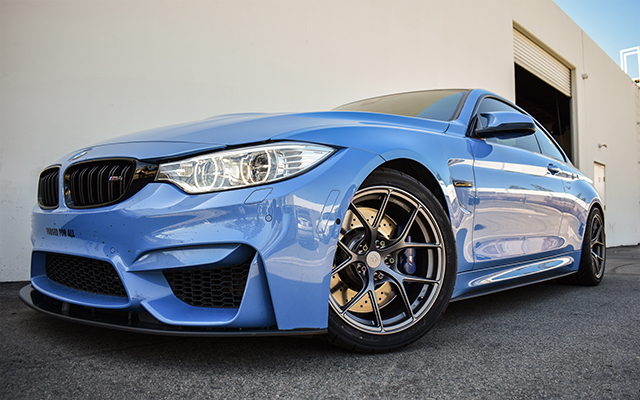 When the wheels debuted for last year, the only BMWs they were available for were E46 and E92 M3s. Now, after much demand, the range has expanded to the F8x M2, M3 and M4! It's always a treat to receive a customer with an Individual car. More often than not, the Individual car is in a hue we seldom see. 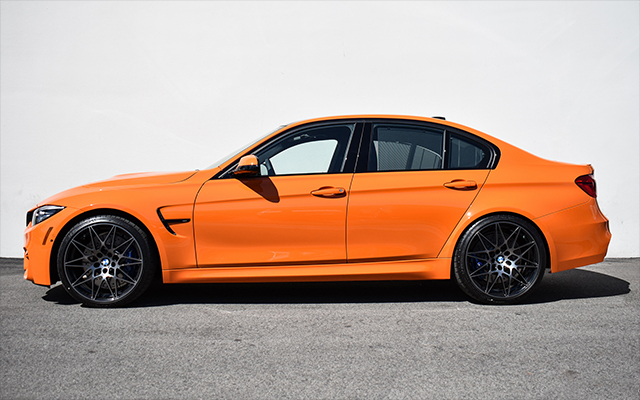 The F80 M3 can be a relatively unassuming car when finished in a white, black or gray but when its finished in Fire Orange, it's anything but! 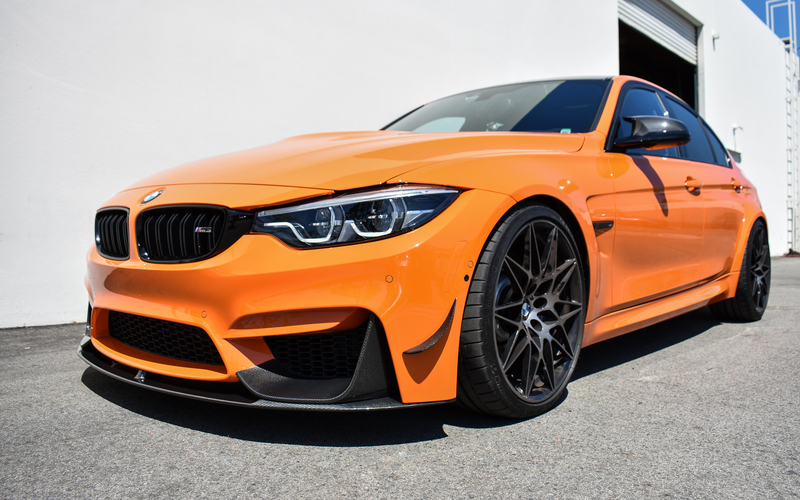 This Fire Orange II F80 M3 ZCP is fresh off the showroom floor and was in need of some personalization. The owner decided to draw first blood with Macht Schnell Competition Spacers, with 15mm spacers up front and 12mm in the rear. 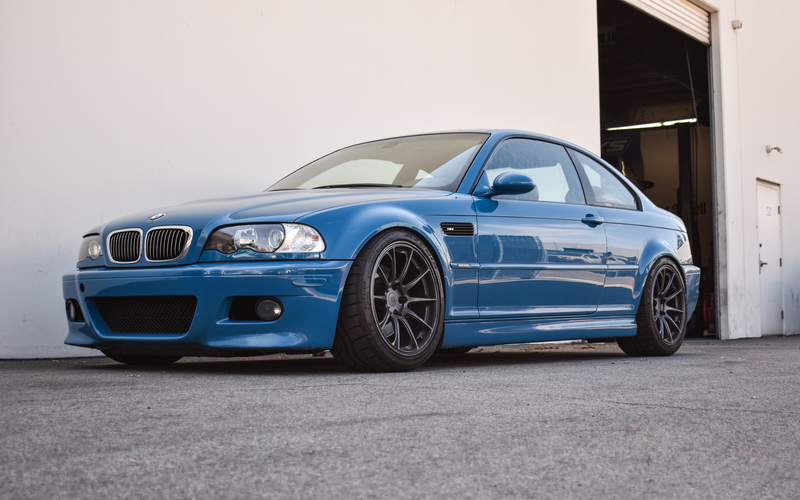 Combined with the stock ZCP suspension, the spacers did quite a bit to upgrade this M3's aesthetics! 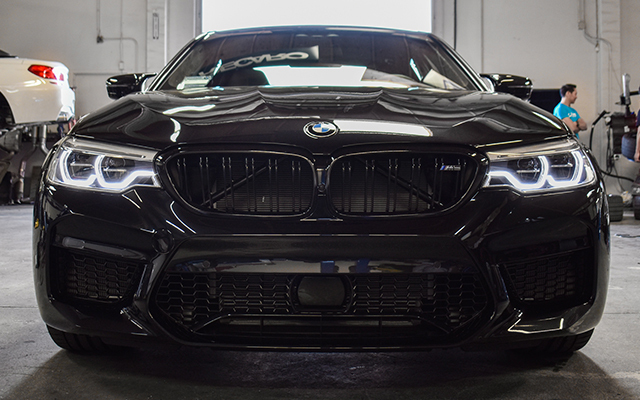 The F90 generation of the M5 brings many changes to the legendary model. 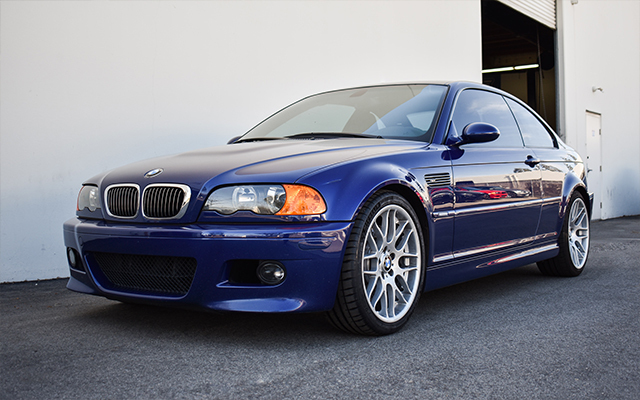 This is the first M car (besides the X5/X6 Ms) to use all-wheel drive. 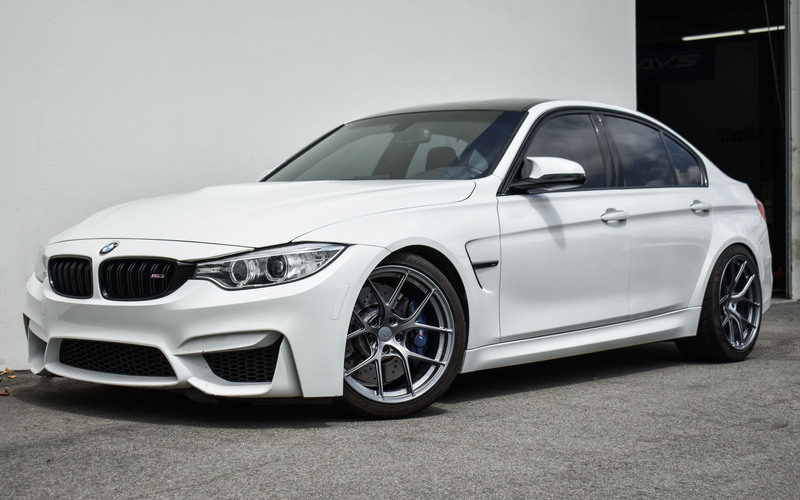 The F90 is also the first M5 to not be available with a manual transmission. The staunchest BMW M purists may decry those changes, but going by published reviews and tests, the M5 is faster than ever and can still dance around corners with finesse. With 600 HP and 553 torques, it might not seem too much faster than the previous model or the competition. But thanks to AWD, it can accelerate from a stop with brutal authority--Car & Driver managed to get from 0-60 in 2.8 seconds! A 2.8 second 0-60 time makes this family sedan from hell even faster than a Audi R8 V10 Plus or Nissan GT-R!